Over the last few days, Hirez Studios/Titan Forge have gone over the changes that are coming in Season 6 as a whole. This also included a vast amount of god and item balance changes. Arguably too many for me to go over in detail here, so I will instead highlight some of the more interesting ones. The full notes will be linked below, so fear not. The full Merlin details are not written yet, but we do know that he’s a triple stance changer (Fire, Ice, Lightning) and his ultimate will swap the different forms, as is custom. I did not get a chance to watch live sadly. I’m going to hold off talking about Merlin until I have a complete set of notes on him. Though I was really hoping for him to be a Guardian (Guardians do Magic damage, it would have been fine! ), I think he’s going to make a pretty big splash and be a nice, complex god with an insane kit. While the balance and stuff like that is cool (Hello, Loki nerfs! ), I’m more excited personally, for the overall big game changes. 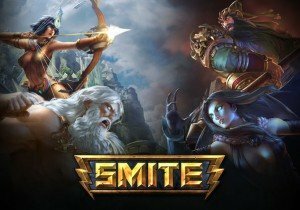 Project Olympus is an on-going beautification/improvement project for SMITE to improve the experience of playing SMITE for everyone. As a MOBA grows in age, things simply need to change. Some MOBAs are better at this than others. Some simply never change and remain stagnant, boring, uninteresting. SMITE, not wanting to fall into that trap, created Project Olympus. It has brought a lot of changes over the last year, but the big ones are rolling out in Season 6 proper. What’s the biggest and best one? It’s hard to say. It’s a tie between Role Queue and Cross-Play/Progression. Conquest/Ranked Conquest is going to be getting Role Queue, something the game has direly needed. Players will select their top two Roles, and after the match is made, the matchmaker will look at role preference, and assign roles to achieve the most people getting their spot as possible. Should their be a tie, the higher MMR player will win out in Ranked, or the player who has not received their role recently. The notes also state that each match where you do not get your preferred role, your chances of getting it will increase the next match. As a Guardian main? I’m not too worried. This is one of the things that kept me from leaving League of Legends as long as I did because as a Support main, I almost always got my role. Ultimately, this did not fix the horrid, toxic community. That’s another piece, for another day. Cross-Platform is another huge feature, where Xbox One, Nintendo Switch, and PC players will all be able to play each other, friend each other, and more. This is only for “Normal” modes. Ranked will be restricted to Your Platform only (except Xbox One and Nintendo Switch – they will get cross-platform Ranked). Players will be able to add their friends from other platforms as friends, clanmates, and bring them into matches. Though you can restrict your crossplay in the settings, if you want (but it will be on by default). This is big for me because so many of my friends play SMITE only on console, or people we’ve met through the Bottom Tier livestream. So this is a Really Cool Change (TM), and I’m glad to see it. There are some Ranked Changes coming that I’m still a little on the fence on, though. In 6.1, there will be a Soft Reset, and TP gained will be increased, to let people climb in the ranks faster. 6.5 is (tentatively) the mark of the New Ranked System (Split 2), where players will no longer play Qualifying Matches. Everyone will start in Bronze, and MMR will show in the UI, and there will be MMR-based leaderboards. That’s one of the reasons I’m a little torn, though. I like the idea of not having to play Qualifiers – I’ve had far too many thrown by players that are trolling, don’t care about winning, don’t get their role, et cetera. I feel bad though, because some players who are just starting SMITE Ranked for the first time are sure to see Masters/Grandmasters or something on the other side of their games, and they’re going to get destroyed. Sure, just because you’ve been that high, doesn’t guarantee you’re always going to win. People play badly sometimes and make mistakes. I have a feeling that there are going to be a lot of miserable people at the start, so I’m trying to figure out for myself when the best time to try is. I’m going to need to get into some Conquest matches to try these changes out for myself because there’s a lot of them. Though the patch notes do say that for Masters & Grandmasters players, rank will be determined by their MMR, rather than by how much TP can be accumulated. We’ll just have to see, but I expect a lot of people are going to get very lucky on their starting matches this season, and just as many will be very unfortunate. But don’t give up. Those people will climb out of your path, and you’ll see people of your skill level before long. I’m curious how it’s going to divide players up. Maybe I can get a word with someone on that. . . Speaking of Conquest, it’s getting some new features, such as the Totem of Ku. This will be a new Solo Lane objective, and a neutral structure, not a boss monster. This is located behind the Fire Giant, by the solo laner’s middle entrance. Once it’s active, the team that deals enough damage to the totem will have all of their tower areas empowered, and allied gods that step into an empowered area will receive a buff Movementement Speed, 25 MP5, +25 Gold to each team member when it is aken, and will last 10 seconds after leaving an empowered tower. The Empowered Tower Area buff lasts a minute. Each time the Totem is claimed, it will get a little stronger (Base HP – 300). It will gain 250 health, 15 Physical Protection, 10 Magical Protection. It will Spawn at 1 minute, and Respawns 1 minute after it’s taken. This will also Despawn at 15 minutes, so this is a very important early game buff to control. This will give Solo Players something to do besides farming all game, and not helping their team. I see Mages and Junglers also helping do this though, so that side of the map is going to be very exciting. Or even Support players who are roaming that way might drop some damage on it. Something else Conquest has to look forward to, are The Furies. Gone is just the bland “Gold Fury”, and now we have The Furies. As the game goes on, the Gold Fury will respawn as one of two new Furies, the “Oni Gold Fury” and the “Primal Gold Fury”. The first spawn will always be Gold Fury, and the other two will be chosen subsequently and will work to avoid repeats. Each has its own reward, and also offer a new bonus – Decreased Gold Rewards. Killing these Furies decreases Base Gold Reward from 150 to 115, Decreased Gold Per Minute (6 down from 5) and their XP is consistent with base Gold Fury. I think this is a kind of cool idea, but I worry it will become stale and frustrating, as the multi-dragons do in League of Legends. At least it’s only two new offerings instead of four. That made things a bit hectic, in my opinion. This should be pretty interesting, as it does not directly help players kill, but helps them get objectives, and makes their lane pushes a little stronger. Primal Gold Fury: All gods on the killing team gain 5% increased damage to jungle camps and bosses. This stacks up to three times. The torches above the oracles pit will lit for each application of this buff. Fire Giant/Enhanced Fire Giant are also seeing some love! Magma Pools are here, and they used to be more or less unavoidable. Now they’ll have a bit of a warning so players can move and not be trapped and also die. This will make players have be a little smarter and proactive when trying to down the Fire Giant. I only wanted to briefly touch on this, because there are a lot of numbers involved. The Patch Notes detail exactly what his rotation and stats are, so for the statistic minded, go check it out. But with that said, I want to round this out with Item/God thoughts. There’s absolutely no way I could cover it all in one piece, it would drag for a nightmarish eternity. So instead, I’m going to pick a few of my favorites. The Relic Changes aren’t really all that exciting. But it is interesting to see that Attacker’s Blessing and Defender’s Blessing both now require more stacks to evolve. The Attacker needs 100, and Defender needs 75. But while Attacker’s Blessing sees no stat changes, Defender’s Blessing will go from 100 to 150 Health and 100 to 150 Mana. So, that’s an exciting prospect at least. I think the biggest change to itemization isn’t an item nerf or buff at all. It’s Elixir of Speed! This flask costs 2000g, and increases your Movement Speed by 18% permanently. This will not stack with Boots/Shoes, and is only available in Conquest. What’s beautiful about this, is the goal is to eliminate that wasted slot by shoes in the late game. Instead, you can buy another attack/defense item. This is going to make god builds going forward for my reviews very interesting. Now I can predict some wild, crazy stuff. I think the cost is a little on the high side, but it’s a flask, and it’s late game when everyone’s probably swimming in gold anyway. The teams that are ahead will get this much faster than losing teams, but it’s reasonable. Though I personally don’t play a lot of Conquest, I do dabble in ranked, so I’m still excited. Regardless of what mode I play, this is a serious change to the meta, and it’s going to make pro matches very exciting to watch. The biggest item change that I see is Soul Reaver. If you didn’t think Soul Reaver was an incredibly busted, OP item that everyone with Magic Damage benefitted from, you’re wrong. It really got a lot of use on gods with multiple damaging abilities, and/or low cooldowns. It was really overwhelmingly good. So with that, now it reads “Enemies that get hit by Soul Reaver’s Bonus Damage will take 50% less damage from this effect on subsequent hits. This reduction lasts 3s and refreshes on hit”. This does not ruin Soul Reaver, nor does it make it “not worth it lol”, but it does tone it down enough. Book of Thoth also saw some love from the Buff Stick. It’s now cheaper (2650 from 2800), and though its passive only converts mana gained from items, it increased the amount converted into Magical Power from 3% to 6%, and increased the Bonus Mana Conversion when Evolved from 2% to 3%. I think this is enough to make Book of Thoth a fun purchase. Another fun prospect for items for the Warriors is Shield of Regrowth. It wasn’t really worth building, but now it’s 2000g to build instead of 2100g. It increases HP5 from 10-15, and MP5 from 10-15. This could definitely make up for it, its previous performance, but we’ll have to see. Stone of Gaia also saw some love! I love Stone of Gaia. It increases the Speed at which the Heal occurs, from 10s to 5s, and lowered its Internal Cooldown from 60s to 45s. This should make it a much more viable purchase for Warriors and Guardians alike. The last Item I really want to touch on is Malice. Malice is a fairly overlooked weapon I think when there are so other many good options for crit that do more. Now, Malice has a new passive. “Successfully hitting an enemy with a Critical Strike will subtract 2s from all of your abilities currently on cooldown, except your Ultimate. This can happen once every 5s”. Are you kidding? That’s amazing! For cooldown-reliant gods, this, paired with CDR could be absolutely soul-breaking. I can’t wait to see more people pick Malice up. So, let’s talk Gods now. For some reason, Warriors fell off. I don’t get why, they’re Guardians but with more damage. But in Season 5, there were so many Guardians in the Solo Lane instead of Warriors, and I do not like this. Far too often I got told to play a non-Guardian in the Support Role and I’m not comfortable with that. Warriors in General receive an increase to their base HP of 10, and their gain of HP per Level went up by 3. It’s not an Earth-Shattering change, but it will give them a little more oomph. Some more chutzpah, if you will. Bacchus! My buddy Bacchus has been a little rough to play in Conquest. He doesn’t come online until later in the game, thanks to Chug. Spending a skill point on it always seems to be a waste, because there are other skills that are more important, and thus, he loses a major part of his kit. Now, Chug is available at level 1, and has a Rank 0. It does not provide Protections, costs 35 mana, and Chug at all levels gives 40% of his Drunk-o-Meter at all Ranks. This lets him boost his Drunkenness, without giving him benefits for not putting points. Now he can get the bonus effects of his Drunk levels in the beginning of the game, and not feel like a wasted pick. Can we all take a moment to be grateful for the Loki nerf? I’m sure all seventeen Loki mains out there are crying in their soup, but not me! I’m a rational human being, who picks someone who is not Loki. Loki saw a decrease to his damage progression (base stats): 1/.5/.5/.5/1.5x damage to 0.75/.5/.5/.5/1.5x damage. But that’s not all! Vanish will no longer have Damage Mitigation. Gone are the days where a Loki can vanish, get picked, and still live because He’s Loki ™. Now players will be suitably rewarded by guessing where Loki ran to, instead of being disappointed that Loki, yet again, survived with 27 hp. There is a buff that I can’t say I agree with, and that’s Hercules. His ultimate, Excavate, is seeing a CD decrease (9o down to 90/85/80/75/70s). I’ve personally always felt like Hercules is an incredibly strong god, that’s dangerous and annoying at all levels/points of time in gameplay. Maybe that’s just me, but I do not think he needed this. Hera is seeing a nerf, but I don’t know if it’s a nerf in the right place. It’s definitely something that was needed though. Argus, the Defender‘s CD is going up (70 up to 90s). It always felt like Argus was off-cooldown and always in the way. She is still going to hit like a bus full of orphans, but now Argus will not always be in your face. These are the potentially biggest changes for me, but of course, there’s so much in this update that I could not possibly get it all down in one go. There may be a SMITE stream this Friday and if so, maybe we can talk some of these changes in person. What about you? How are you feeling about Season 6?